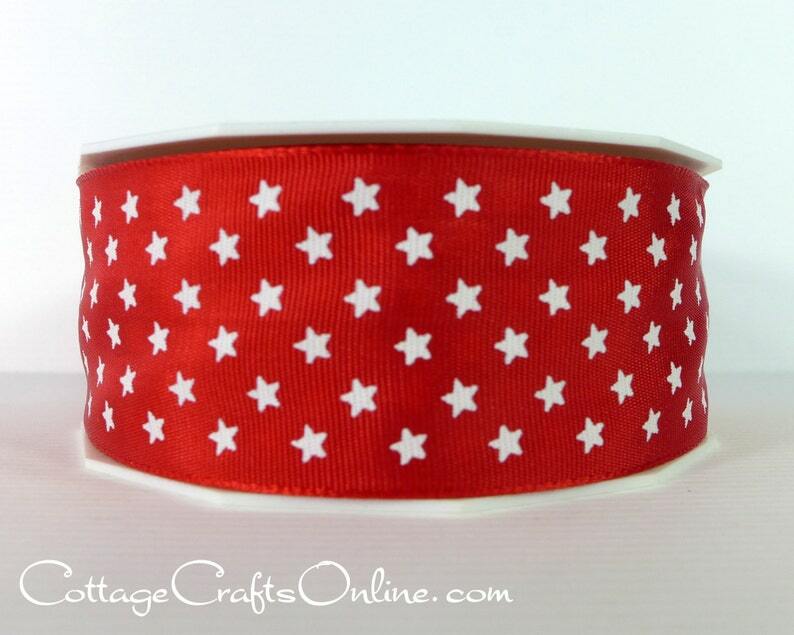 Red lightweight taffeta printed with white stars on a lightly wired edge ribbon, 1 1/2" wide. This listing is for a 3 yard roll. Rolls are factory cut, so if you order more than one, you will receive multiple 3 yard rolls. Beautiful ribbon! Worked up great in a wreath. As always Cottage Crafts ships in a timely manner. Love this shop & Elizabeth is amazing to work with & Her ribbons are just beautiful 😍! Loved my ribbon! Great product and fast shipping. Will definitely shop with this seller again.